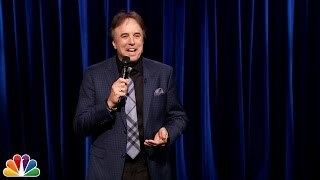 Kevin Nealon has set himself apart from other comedic performers with his unique sense of humor, dry wit, and likeable demeanor. Nealon is best known for his nine-year stint as a cast member of NBC’s “Saturday Night Live.” More recently, Nealon has received critical acclaim for his role in the Showtime series “Weeds.” The show was honored at the 2006, 2007 and 2009 Golden Globes where they were nominated for “Best Television Series in a Musical or Comedy.” In 2007 and 2009 “Weeds” was also nominated in the “Outstanding Performance by an Ensemble in a Comedy Series” category at the Screen Actors Guild Awards. Nealon was most recently seen in the fifth season of the Showtime series “Weeds.” The all-star cast which includes Mary Louise Parker, Elizabeth Perkins, and Romany Malco centers around a single mother, Nancy Botwin, who makes ends meet by selling marijuana. Nealon portrays Nancy’s nearly perpetually stoned accountant and business advisor. Every season earnsthe show outstanding ratings and numerous awards. Nealon can also be seen in the stop-motion animated series “Glenn Martin, DDS.” Nealon does the voice for the title role opposite Catherine O’Hara and Judy Greer. The show follows the adventures of a traveling dentist and his family. “Glenn Martin, DDS” was recently picked up for a second season. It airs nightly on Nick at Night.Nealon was last seen on the big screen in ALIENS IN THE ATTIC opposite Tim Meadows and Ashley Tisdale. The adventure comedy shot in New Zealand follows a family who teams up against aliens who are invading their home through the attic. Nealon’s first one hour stand up special called, “KevinNealon: Now Hear Me Out!” aired on Showtime on Friday, September 4th to rave reviews. “Kevin Nealon: Now Hear Me Out!” was released on DVD in October.Nealon wrote a book entitled, Yes, You’re Pregnant But What About Me?, which is a comical look at the male perspective of pregnancy. The book was released on May 13, 2008 and is available in bookstores. Nealon can be seen in the independent feature REMARKABLE POWER with Tom Arnold. Nealon stars as a late night talk show host who goes to great lengths to bring his cancelled show back on the air. He can also be seen in the upcoming Nick Swardson feature BORN TO BE A STAR.Nealon was seen in Adam Sandler’s comedy YOU DON’T MESS WITH THE ZOHAN for Sony Pictures. The film grossed $201 Million worldwide.Last year Nealon hosted TBS’s “Funniest Commercials of the Year” for the fourth time. The special highlighted the most outrageous commercials from around the world and is a continued success for the Network. As one of the longest running cast members on NBC’s “Saturday Night Live” (1986-1995), Nealon has created some of the most memorable characters. Such as ‘The Subliminal Man’ and ‘Hans and Franz.’ Nealon’s reoccurring role as an anchor on ‘Weekend Update’ made the sketch a show staple. In 1988 Kevin was nominated for an Emmy Award as part of the SNL writing team. While Nealon has made an impression on audiences in television, his film career continues to grow. Nealon can be seen in the comedic success ANGER MANAGEMENT opposite Jack Nicholson and fellow “SNL” comedian Adam Sandler. Nealon also starred with “Saturday Night Live” alumni David Spade, in Columbia Tristar’s JOE DIRT. In addition, Nealon starred along with Adam Sandler in EIGHT CRAZY NIGHTS, THE WEDDING SINGER, and HAPPY GILMORE. These films have enjoyed an enormous success at the box office and continue to be at the top of DVD sales.Nealon’s other film credits include DADDY DAY CARE with Eddie Murphy, GOOD BOY with Molly Shannon, ROXANNE with Steve Martin, and the cult hit, GRANDMA’S BOY with Jonah Hill and Nick Swardson. Nealon is a familiar figure on television as well with a number of guest appearances on “Monk”, “Fat Actress”, “Curb Your Enthusiasm” and “Still Standing.”Nealon currently resides in Los Angeles with his wife and son.